StoryCorps: 'They Thought I Was Dead' : A 9/11 Survivor Recalls His Escape Joe Dittmar was in the World Trade Center on Sept. 11, 2001. In a StoryCorps interview last year, he vividly recounts what he saw that morning — and how he got home to his family. Joe Dittmar was on the 105th floor of the World Trade Center's South Tower on Sept. 11, 2001. He recounts what happened that morning in a StoryCorps interview last year in Chapel Hill, N.C. In an interview with StoryCorps last August, Dittmar, now 61, vividly recalled the scene, describing "gaping black holes through the sides of that building ... gray and black billows of smoke pouring out of those holes, flames redder than any red I'd ever seen before in my life, flicking up the side of the building." Dittmar took the stairs to evacuate. He said he'd made it to the 72nd floor when, 17 minutes after the first crash, the second plane hit the tower he was in. Some of the other people from his business meeting took the express elevator to try to get out and did not survive. All he could think about was making his way back home to Aurora to see his wife and four kids. He'd taken the train to Manhattan that morning from Philadelphia, and so he decided he would go back to Penn Station and hop on a train to go back, get his rental car and then drive to Illinois. "The train was packed with people sitting and standing," he said. "Not a word was spoken — there weren't any words to say." 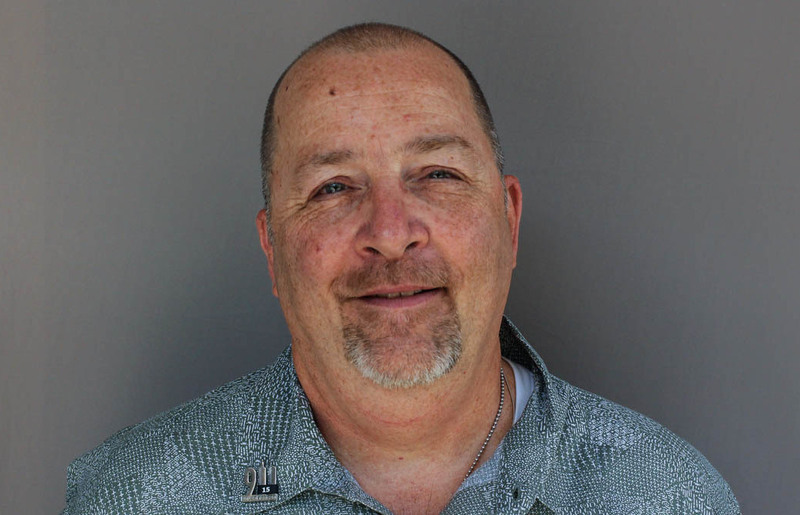 He spent the night at his parents' house in Philadelphia, and before making the drive the next morning, Dittmar called work to let them know he would not be coming in that day. "It was a good thing," he said, "because they thought I was dead." Dittmar said when he was close to home he called his wife "for what was probably like the 50th time." "I said to her 'Hey, I'm almost there.' She said, 'They decided to have a mass at Our Lady of Mercy —' and I stopped her right in the middle of her sentence. I said, 'I'll be there. I'll meet you there.' "
When he arrived, the church parking lot was packed. "You would've thought it was Christmas," he said. "I opened up the back door of that church to see these hundreds of eyes all staring back at me, knowing where I had been." He scanned the church to find the spot where his family usually sat. "My wife jumps over the back of the pew, runs to the back of the church, gives me the greatest hug and a kiss a man could ever want," he said. "She's not that kind of a demonstrative person, but that's what made that moment even more incredible. And I knew at that moment that I was home. Never had a better feeling in my life." 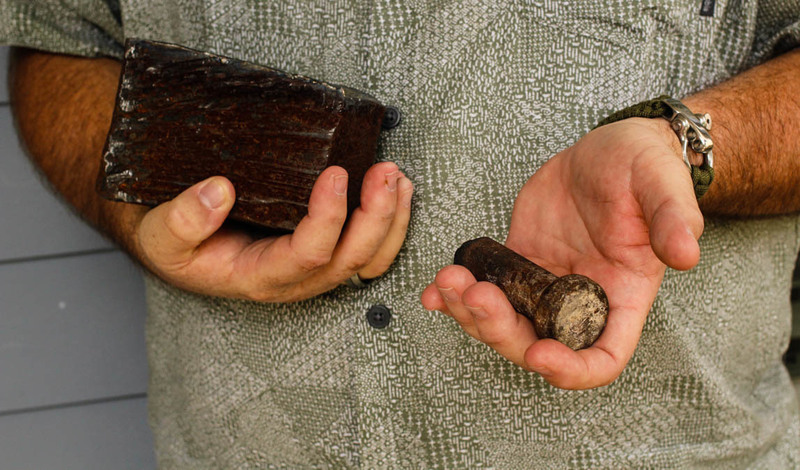 Joe Dittmar holds remnants of the World Trade Center — a section from one of the core beams of the South Tower, right, and a bolt from a steel beam. Dittmar has made multiple visits back to Ground Zero both before and after the National September 11 Memorial and Museum was built. While he appreciates what's there now, he says visiting the site when it was still a hole in the ground was deeply emotional. "The scaffolding with wooden walls and the writing on those walls with love and thoughts about lost family members was the true Ground Zero," Dittmar said. The 17th anniversary of the Sept. 11, 2001 attacks is Tuesday. 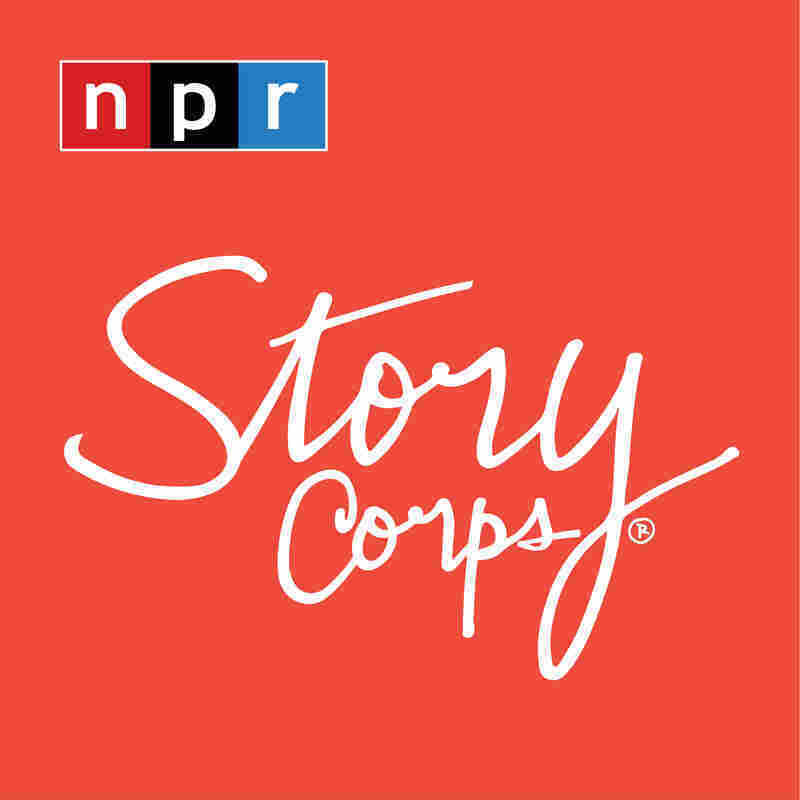 StoryCorps and the National September 11 Memorial And Museum are recording a story for each life lost. Audio produced for Morning Edition by Aisha Turner.